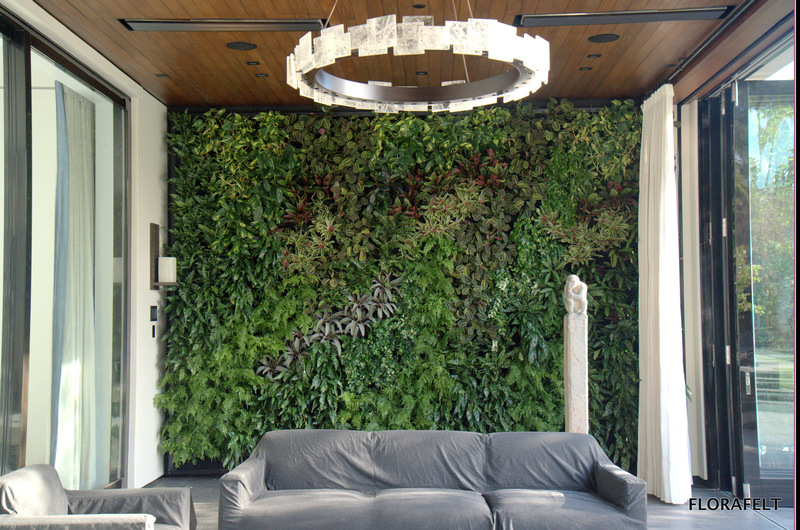 Chris Bribach of Plants On Walls worked closely with the client to create this living wall design. 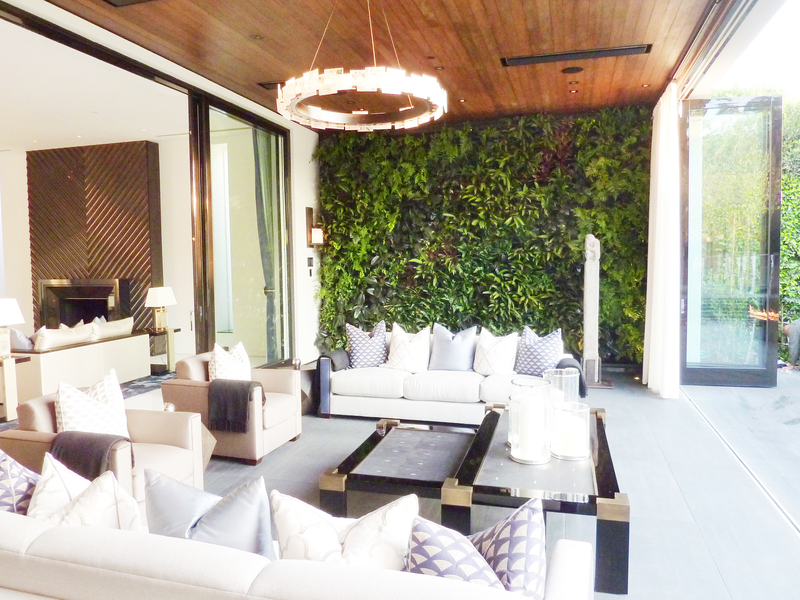 The architect used dramatic up-lighting to highlight the floating orchids amidst a wild jungle of tropical flora. 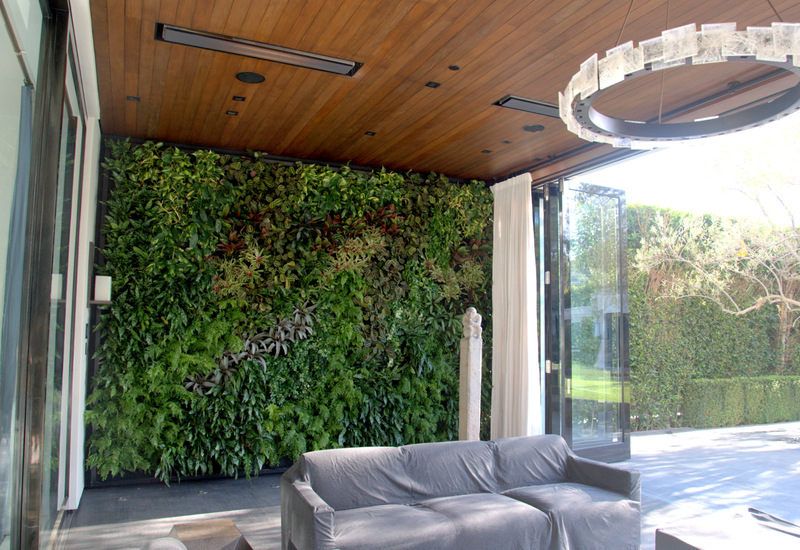 Waves of bright light loving plants flow naturally from the end wall of this sunlight west atrium. The system's frame and felt are both black to shadow into the background. Chinese evergreen and near black ficus waive up from the base and flow into the red undersides of calathea matching foliage of bromiliads. From the ceiling drop ferns amongst the temporal dancing display of orchids an occasional spray of lipstick vine.